Tallis mistakenly lists the firm as Borradaili, but it should be Borradaile, nor does he give any indication what trade they were in. Admittedly, their profession is somewhat confusing as they were involved in all kinds of activities, but to keep it simple, I have given them the occupation of ‘merchants’. They were involved, however, in (fur) hatmaking, shipping, insurance, cotton mills, and probably much more that has not made it into easily accessible records. 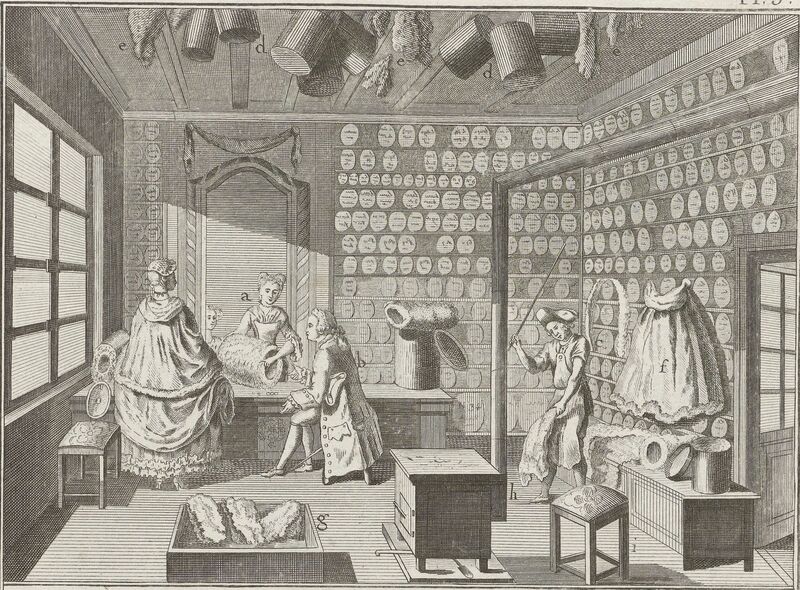 To complicate matters, Richardson, who had entered into a partnership with his brother, also had a son William who was taken on as an apprentice in the Fenchurch business of furriers, hatters and merchants. In those days, the Borradailes were certainly involved in the fur trade and the Hudson Bay Company archive shows them supplying hats to the North West Company at Grand Portage, Minnesota. 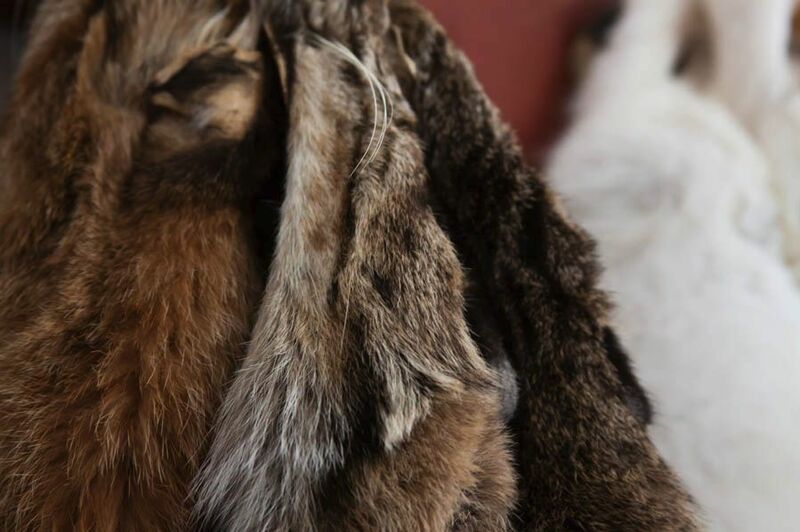 (3) See here and here for more information on the fur trade from Grand Portage. In the summer of 2017, the Grand Portage National Park Service plans to open a reconstruction of the inside of a 1799 hatters’ shop, which they will name ‘Borradaile and Atkinson’. 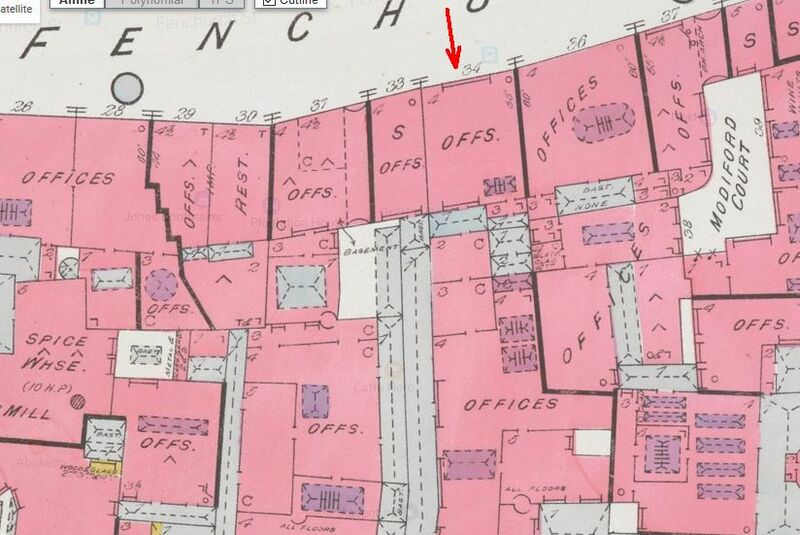 W., Sons & Ravenhill, hat makers, 34 Fenchurch Street, manufactury Hatfield Street, Blackfriars Rd. His request was granted and presumably the vault was built, but surprisingly, he does not mention it in his will. (7) He was, however, buried at St. Mary Abchurch, which was the parish to which St. Laurence Pountney had been united after the Fire of London in 1666 as St Laurence’s was not rebuilt, although their graveyard continued in use until 1850. William’s gravestone, and those of other Borradailes, is listed for St. Laurence Pountney in The Churchyard Inscriptions of the City of London. But to return to the business: sons John Watson and Abraham continued the business under the name of Wm. Borradaile & Co., although the property at 34 Fenchurch Street was now listed in the tax records for John Watson alone as he had inherited the building itself. In 1832, these second-generation brothers, George Ravenhill and one William Thornborrow dissolve a partnership as insurance brokers; apparently a new sideline of the hatters. (8) The 1841 census found John Watson, his wife Ann, their children and brother Abraham at 34 Fenchurch Street, but soon afterwards the business premises were shared with various other companies. From 1843 onwards, various other businesses could be found trading from 34 Fenchurch Street, among them Ludd and William Fenner, who went bankrupt in late 1843. (9), William Grant, tobacco broker who died in March 1853, and Marshall and Edridge, who ran the Australian line of packet ships. In 1851, John Watson and Abraham dissolved the partnership they had as “merchants and general commission agents”, because John Watson was retiring. (10) He died in 1859. Abraham continued the business until his own death in June 1857. While sitting in his counting house “he was suddenly attacked by mortal sickness, and, although medical aid was promptly at hand, expired in a few minutes of the seizure”. 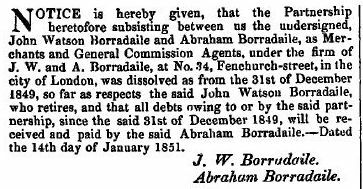 (11) The notice about Abraham’s death listed the company as “Cape merchants” and said that he had married his cousin, the daughter of Richardson Borradaile, many years M.P. for Newcastle-under-Lyne. The entry for Richardson on the website of the Parliamentary history gives more information on the various merchant activities of the Borradailes (see here). The Borradaile name continued to be used by various family members and could be found as far away as Calcutta where Messrs Borradaile owned a steam boat, the “Pioneer” which did service on the Ganges; they were also heavily involved in the Indian railways. The Borradailes even acquired eternal fame by having an – albeit small – island near Antarctica named after them, Borradaile Island. Merchants: Bartholomew Calway; Alexander L. Georgacopulo; Demetrio Georgiades; V.A. Van Hüffel & Co.; Charles Maltby; Michaelis, Boyd & Co; Henry William F. Niemann; W. Potter; Henry A. Preeston & Co.; W.S. 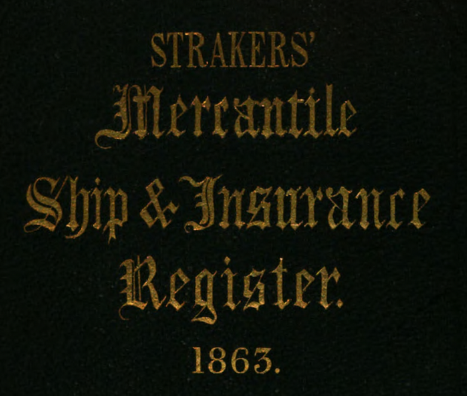 Shuttleworth & Co.; John Hammond Winch; East India and Colonial Merchants: Lerosche and Co.; James Macdonald and Co.; Tea and Coffee Brokers: Charles Maltby; Timber Brokers: Grant, Hodgson & Co. Many more names could be added to these over the years, but I will leave it at this and end with the note that the building as the Borradailes knew it no longer exists. The building as Tallis depicted it with the gate in front had already disappeared when Goad produced his insurance maps. In 1936 a much larger Plantation House was erected and even that has now been superseded by Plantation Place, an enormous glass and steel office development. (2) He became rector of Wandsworth, but killed himself in 1836 ‘in a fit of temporary derangement’ by jumping off Vauxhall Bridge. (3) Public Archives of Canada Reel 5M5, Part F4/20, Invoice of sundries shipped by McTavish Fraser and Co. for the NWcCo. Reference kindly supplied by Karl Koster for which my thanks. (4) The London Gazette, 28 September and 15 October 1811. (5) A biographical sketch of Robert Owen appeared in The Poor Man’s Guardian, 28 November 1834. (6) H.B. Wilson, A History of the Parish of St. Laurence Pountney, 1831, p. 177. William Borradaile had married Ann Delapierre in 1784; she was the daughter of Abraham and Mary Delapierre. (8) The London Gazette, 4 January 1833. (9) The London Gazette, 22 December 1843. (10) The London Gazette, 17 January 1851. (11) The Morning Chronicle, 17 June 1857. Fantastic! Thank you for all the work you do on this site!